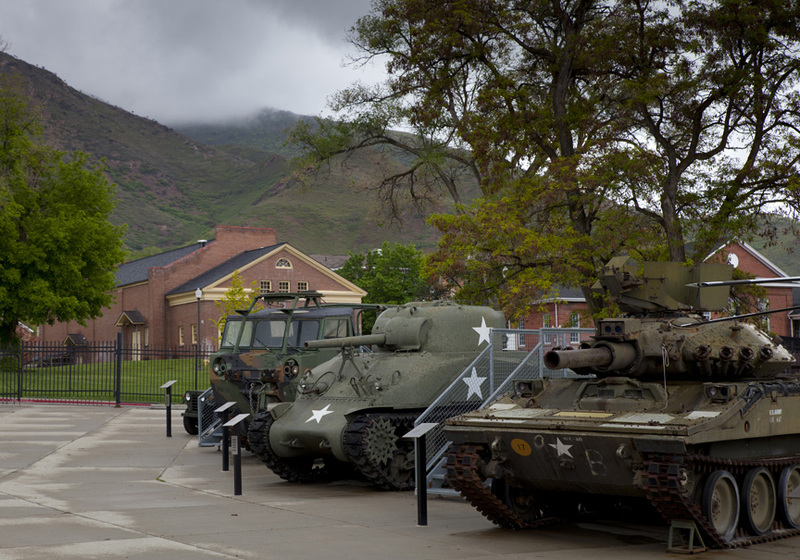 The M65 280mm atomic cannon is the largest field piece in the American arsenal. Designed for long range delivery of conventional and atomic warheads – plus mobility – it was deployed to Western Europe and Korea during the Cold War. It’s antecedent was a Krupp K5 railway cannon, developed by the Germans during World War II, Deployed in the mountains over Anzio, Italy, two of these guns were mounted on rail cars, then hid inside mountain tunnels above the Allied invasion site. Soldiers under fire on the Anzio beach named these guns “Anzio Annie.” This mobile, long range fire power delayed the Allied invasion of Italy by six months. Their effectiveness left a lasting impression of the US military command. The Krupp design made its way to the US after World War II. The development of the atomic cannon is a dead end on the evolutionary line of tactical nuclear weapon research. Mounted on two 375 horsepower tractors, the M65 could deliver a conventional or nuclear warhead to a target at thirteen miles. Her mobility allowed “Atomic Annie” to make a debut appearance at President Dwight D. Eisenhower’s inaugural parade on January 20, 1953. She rolled down Pennsylvania Avenue like some shy, eighty-foot long, olive drab debutante. Annie was not a cheap date. Each of these guns cost $700,000 in 1953, roughly $6,000,000 in today’s dollars. Code name for the gun’s sole firing during Operation Upshot Knothole was the Grable shot. Annie belched an atomic shell seven miles over the Frenchman’s Flat range at the Nevada Test Site on May 25, 1953. It erupted in a fireball documented in an official film since declassified. 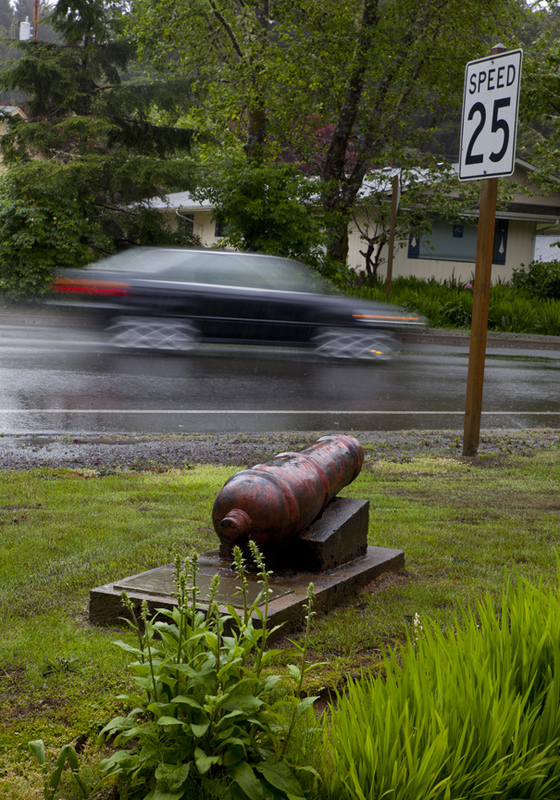 Now, old Annie is just a museum piece in some locales, a roadside attraction in others. 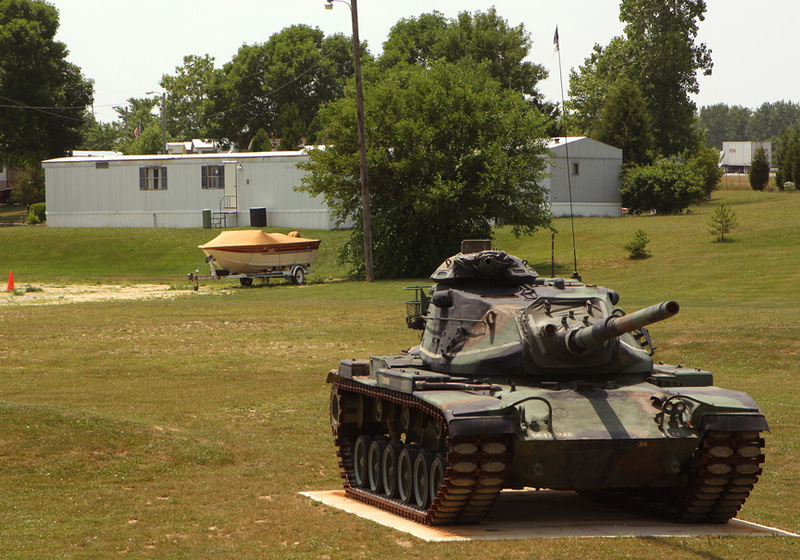 There are eight of these guns on display across the United States. 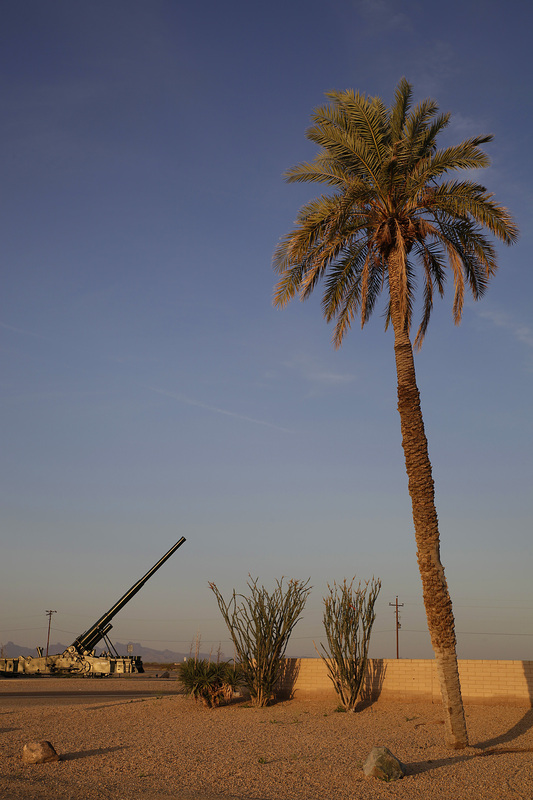 The above gun sits outside the Yuma Proving Ground, an ordnance range in Yuma, Arizona. It seems like a nice place to retire. 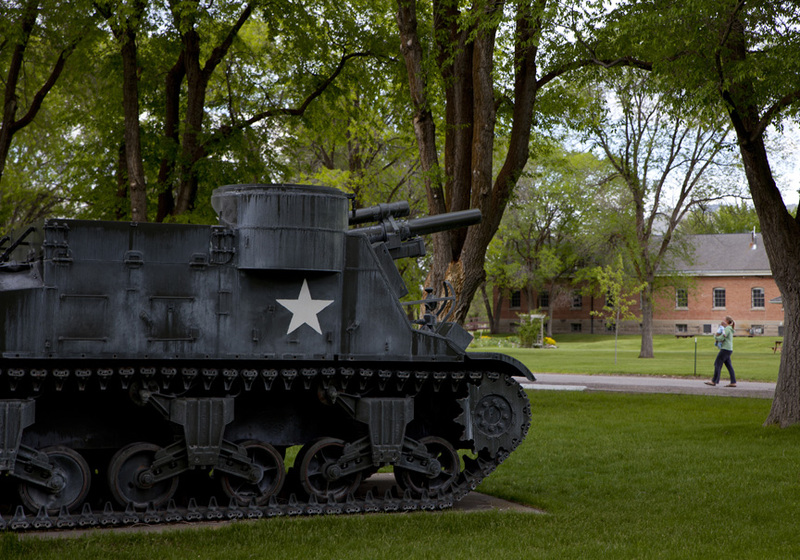 This Atomic Annie cowers in the yard at the Museum of Nuclear Science and History in Albuquerque, New Mexico. Yellow caution tape hangs like the tattered sash on a distant runner-up in a backyard beauty pageant. 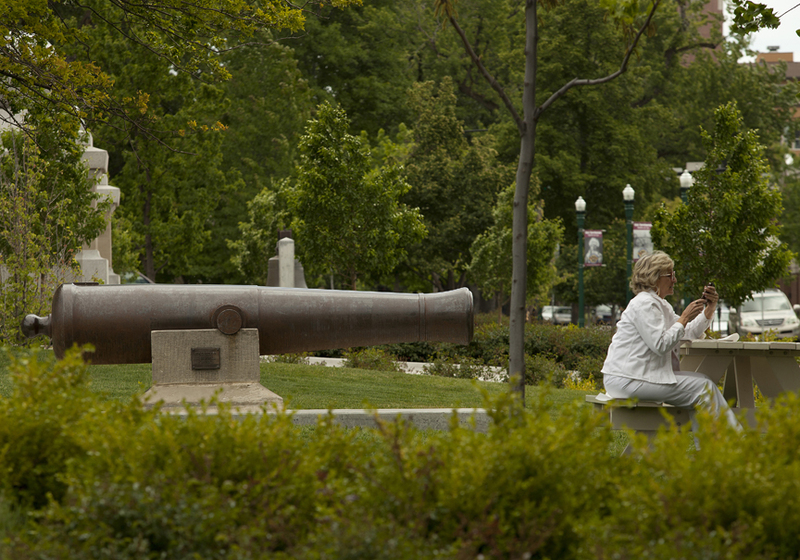 The gun awaits a makeover in the museum’s Heritage Park section. Still, this retired gun exhibits a quiet pride. She points her barrel toward the museum’s gift shop. There, visitors can see her “model” grand kids – maybe even take one home, for a few spare bucks. The Atomic Annie in Junction City, Kansas sits on top of the hill in Freedom Park. 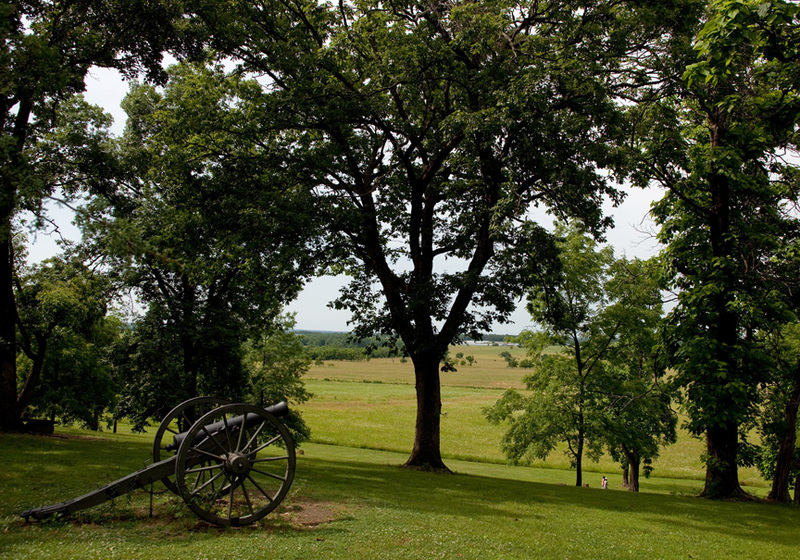 A random display of artillery pieces line the park’s switchback path up to the imposing weapon. Fort Riley sits across the Interstate Highway, a possible explanation for the location of this tactical gun.